One of our main goals at School on Wheels is to educate more people about homelessness as an issue in our country and give people tools to be part of the solution. 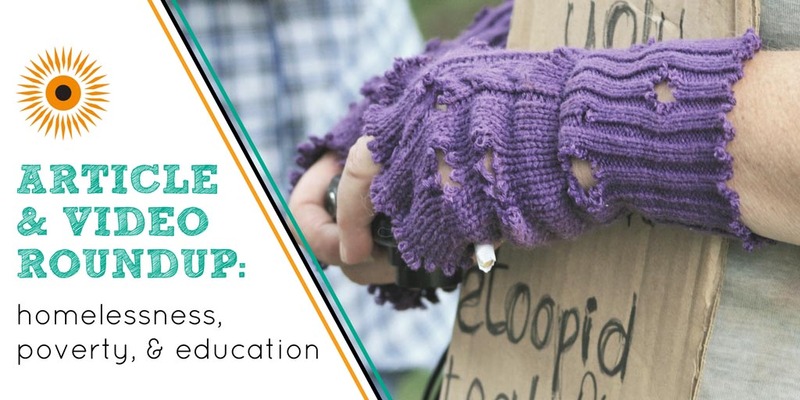 This month, a lot of great new resources and reports have come out regarding homelessness, poverty, and education in the US, and we thought we’d take a minute today to share a few of them to help you stay informed. 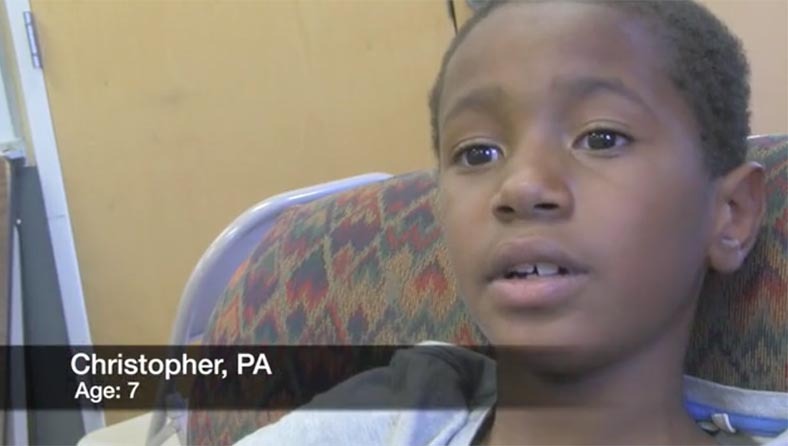 Nowhere to Go – Family Homelessness in America from HEAR US is a powerful new video that was released last week at a congressional hearing on family homelessness. It gives a better understanding of family homelessness from the perspective of the people who know its impacts best: the children and parents who experience it. The video was released to support HR 1511/S 611 – the Homeless Children and Youth Act that’s been introduced to change the Department of Housing and Urban Development (HUD)’s definition of homelessness to include children who are doubled up. Learn more about the bill here. 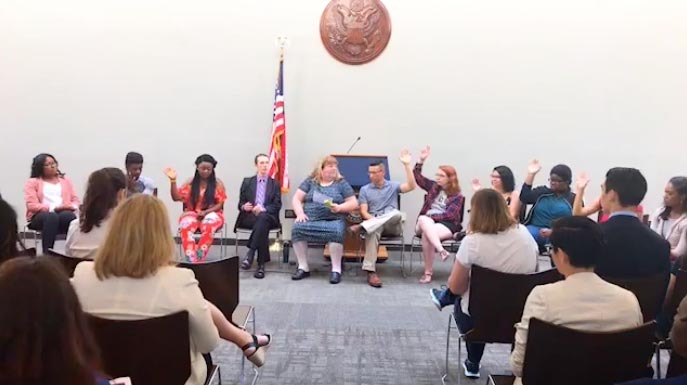 Voices of Youth: A Discussion on Education, Resilience, Homelessness, and Hope was a live-streamed panel discussion that took place this week in Washington, DC. It featured eleven homeless and formerly homeless youth from around the country who spoke about issues important to them and shared their powerful stories of resiliency, courage, and hope while experiencing homelessness. Take a few minutes to check out their inspiring stories here. 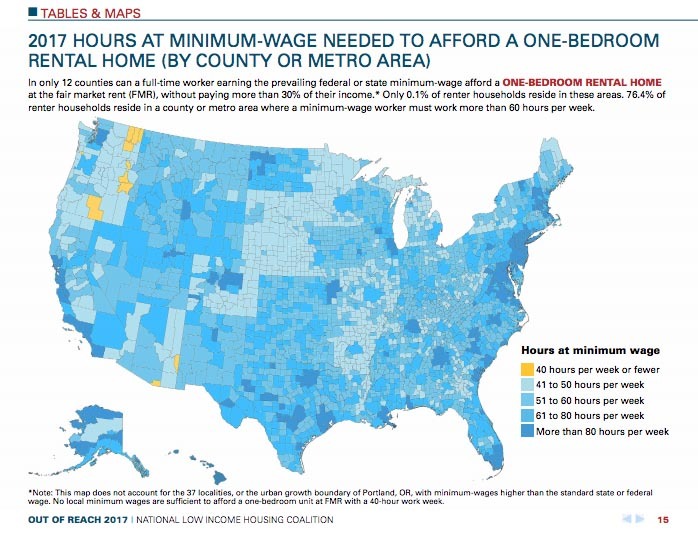 Each year, the National Low Income Housing Coalition releases its Out of Reach report, which maps the minimum hourly wage required to afford a modest rental based on federal Fair Market Rent estimates. This year’s report came out earlier this week and in only 12 counties in the entire country can a full-time worker earning federal minimum wage afford a one-bedroom rental without paying more than 30% of their income. Check out the rest of the results here or an overview here. At School on Wheels, we believe all children deserve the chance to become thriving, successful adults – but many of the kids we serve are fighting an uphill battle against difficult circumstances. A new report, Escaping Poverty, from the US Partnership on Mobility from Poverty takes a look at the factors that allow children to escape poverty and become economically successful. Check out the report here. Want to make a difference in the lives of students experiencing homelessness in the Indianapolis community? You can make a donation or check out our wish list today!